One of the great joys of being an instructor is contributing to another person’s success. To play a role in a person learning new skills, having fun and developing more confidence and competence has always struck me as a great privilege. And while this is true when helping a player move from a 3.5 skill level to 4.0, I often find my greatest pleasure watching beginners move from having never tried pickleball to considering themselves “a player”. Working with Beginners is the theme of this edition of For the Coaches and it focuses on some of the tips, tricks and considerations that can spell the difference between a really great introduction to pickleball and one that falls flat. We will look at some of the traps that can derail a PB 101 course as well as some of the choices that can set up the players (and coaches) for long term success. To be an instructor is to be in a position of leadership. And like all leaders, pickleball coaches must make decisions about how they will spend their time and what areas of concern will get most attention. Since there is usually a finite amount of time for lessons, coaches must prioritize some skills over others — you can’t work on everything — and they must make hard choices about what gets little or no attention for beginning players. While reasonable people can disagree, here’s where we think it is best to place priorities for people just getting started. Movement. A person can have the nicest swing in the world, but if they can’t get to the ball, they can’t use it. Having players understand that how well they can send a ball is linked to how well they receive it is a valuable first step. Rather than focusing on a ‘ready position’, try to develop a a more dynamic ‘athletic look’ in your players, preparing them to chase the ball around the court. Stable Paddle Face. A person can do everything well, but if they hit the ball off-centre, life is going to be tough. A stable paddle face at impact makes it more likely that contact will be solid. This is true for serves, returns, volleys, dinks, drives, drops, lobs and smashes. Deep Returns. New players are going to have a tough time at the net if their opponents are hammering the ball at them from close. A deep return will allow more time to handle the incoming shots. Volleys. Most beginners don’t send and receive a lot of low balls. More commonly, they send each other higher balls that can and should be volleyed out of the air. So rather than focusing on developing great dinks which they won’t be abel to use much (they are a response to low balls), have them focus on being a consistent volleyer. Sending Low Balls. New players should learn that it is smart to send low balls when opponents are at the net. Whether it is a fast one (aka a drive) or a slow one (aka a drop), if they think “low” with team threatening at the net, they will usually be in decent shape. There are, of course, other important skills and strategies. And if you are lucky enough to have your students for an extended period of time, you’ll have a chance to explore them all. But in many cases beginning players take one or two short classes until they are ‘released into the wild’. 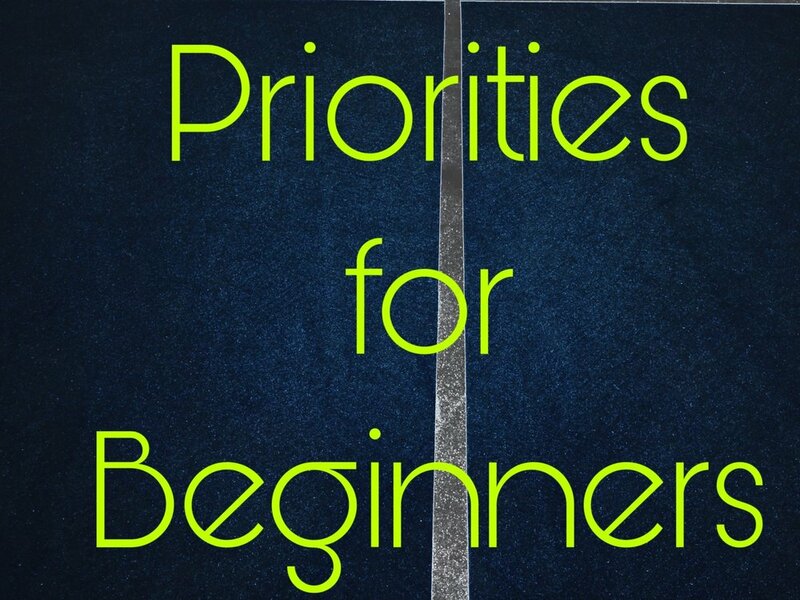 Why not take some time to make your own list of PB priorities for beginners? When I’m working with new players, I often find myself praising them after they hit a ball way out of bounds or into the bottom of the net. To a casual observer, it may look like I’m being patronizing or am fully out to lunch. It could appear as though I’m flattering the players because I “don’t want them to feel bad”. But in these instances, none of these are accurate depictions of what’s going on. So, what exactly is going on? Let’s imagine we are working on controlling the depth of the return; we are trying to return a serve to the back 8 feet of the court so it is harder for the servers to send a difficult drive. The player gets ready to receive the serve, swings, hits the ball within 4 feet of the baseline. The trouble is, her return is about 6 feet wide of the court. It is out. While some would consider this a “miss”, in my view it is a success. Remember, the skill being developed was to control the distance of the return. And isn’t that exactly what the player did? Sure, their directional control was off, but that wasn’t the skill being worked on. If we keep our focus on the topic at had, we can see this shot as being successful. What does this matter? For new players, it can feel like a lot is going wrong. The ball often doesn’t go where they want. And as the instructor, I see my job not as identifying every problem they have (that’s the easy part) but to find a way to build on the successes they have while addressing the areas they need work. In the story above, I wouldn’t be sastified enough to say “Ok. I guess you are a great returner now ” and leave it at that. Clearly they need to be able to control direction too. But if we take small, specific elements and focus on them individually, we can find legitimate success and improvement even if things aren’t perfect. That’s the difference between being a fault-finder or a success-seeker.